Rapid development continues in publishing business models.Smart publishers need to not only be abreast of the latest developments in social media, consumer generated content and mobile publishing, but need to be able to craft the right strategies for their titles and audiences. 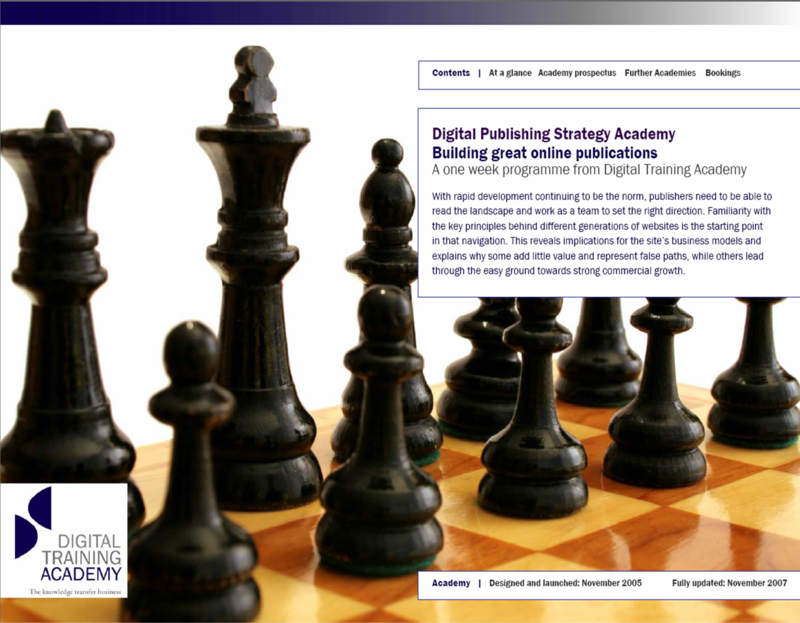 The Internet Publishing Strategy Academy is an intensive programme of workshops to deliver the essential knowledge your team needs and move the business forwards with ideas and frameworks that can be quickly applied. Publishers need to be able to read the landscape and judge which tools and technologies will affect them, and then decide the best way to bring them into the business. This extensive management development programme is customised to the specific needs of your Internet media business and the specific challenges you face today. We boost the knowledge and skills of your publishing or leadership teams to increase their intuition about how to tackle new content formats, new advertising, new subscription models and new organisational structures. Familiarity with the key principles behind different generations of websites is the starting point in that navigation. This reveals implications for the site’s business models and explains why some add little value and represent false paths, while others lead through the easy ground towards strong commercial growth. Our experienced Tutors develop unique programmes based on the resources of your business, the structure of your organisation and the specific competitive pressures you face in today’s market. We customise training to suit the specific needs of publishers and can normally deploy a programme within four weeks. Email Tutors@DigitalTrainingAcademy.com.